3x5 personalized journal notebook makes an adorable business gift for small budget marketers eye long innings in brand building. This journal notebook features a strong PVC cover, 80 lined sheets, strap closure, and matching bookmark. 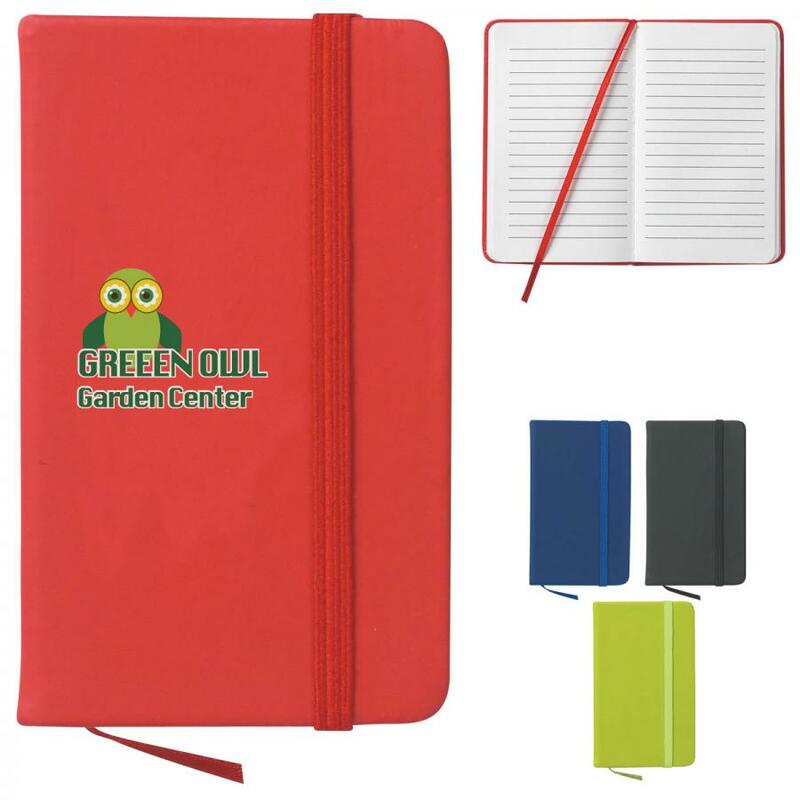 Available in multiple colors, this journal notebook is perfect for gifting during corporate events, business conventions, sponsored events and more. 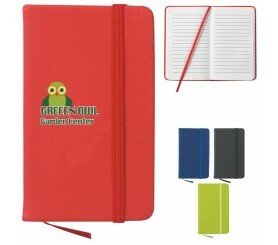 This journal notebook is pocket-friendly and they can be easily contained within briefcase, bags, and purses, too. Pricing for online design proof included. Request a quote to know what you may save on bulk ordering these 3x5 personalized journal notebook. Box Weight : 21 lbs.